You probably want to retire at some point. But before you can get there, you have to be able to answer a few questions. For example, how much money should you have already saved up if you want to retire by age 65? 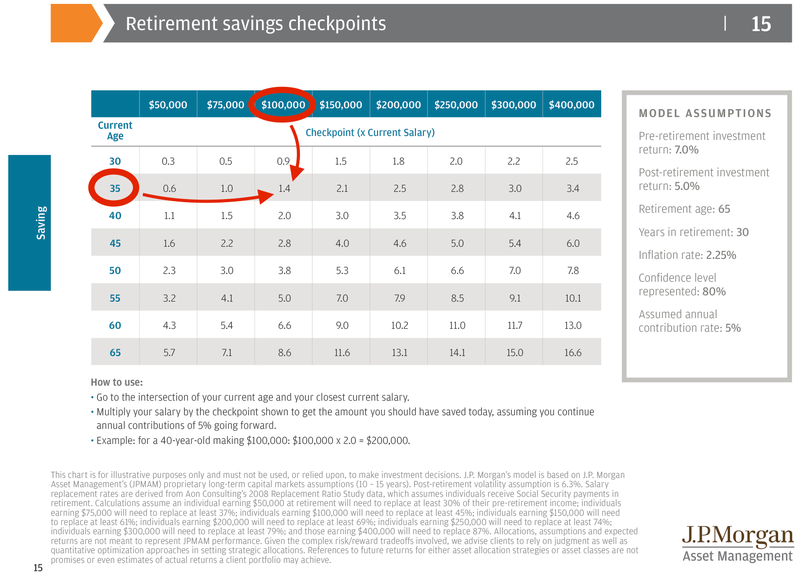 JPMorgan Asset Management’s 2015 “Guide to Retirement” has a handy retirement savings checkpoint guide to help you with that one.